Woods, Water & Acreage...What more do you need? Enjoy over 9 acres with this partially wooded lot and frontage on a large, private, stocked pond! 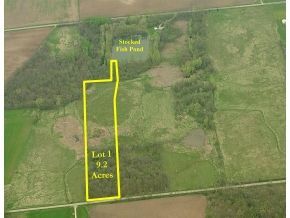 Only a stones throw from the Village of Winneconne and close to Oshkosh and the Fox Valley. This is truly a piece of heaven on earth! Call today for more information.